You are buying the Mabis DMI Bamboo Bath Seat which is manufactured by Mabis DMI. Mabis is a leading manufacturer of Bath Seats. At ADW Diabetes, we do our best to offer the complete product line by Mabis with excellent pricing and fast shipping. 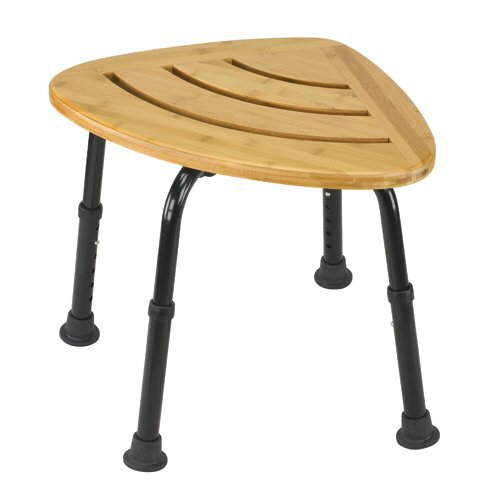 Bamboo bath seat. seat constructed of solid bamboo; a 100% renewable resource. 1" powder-coated aluminum tubing. withstands exposure to water without warping or producing mildew. vented seat helps prevent soap and water build-up. triangular shape compactly fits into a shower stall corner or tub. slip-resistant rubber tips. all hardware and detailed instructions included.